Over 40 local youngsters age 12 to 20 participating in the highly successful Youth to Keel Programme (Y2K) attended a special launch and briefing sessions on Saturday, April 13 at the Antigua National Sailing Academy (NSA) where they learnt: how the week will roll out, what to expect on race day and the dos and don’ts of being a crew member on a big boat. Greig City Academy in London. In 2019, that number will be over 40, and this time two Antiguan teams will go head to head on their own boats. Jules Mitchell returns with his crew on NSA Spirit, and new helmsman Joshua Daniels, skipper of NSA Valiant. Both skippers are 20 and have crews who are a mix of young NSA and AYC sailors. 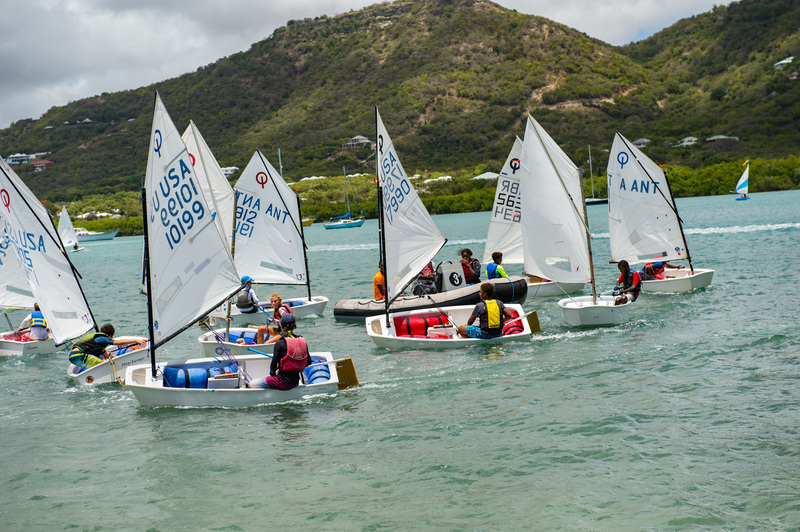 The growth of the programme is testament to the hard work by both Antigua Yacht Club (AYC) and the National Sailing Academy (NSA) to increase participation in the sport in Antigua. AYC has an active optimist programme who train three times a week, with the best sailors currently representing Antigua in Chile with Head Coach Karl James and chaperone, Rhone Kirby at the South American Optimist Championship, a practice event for the Optimist Worlds taking place in Antigua in July 2019. Meanwhile the NSA provides learning to sail as a free option on the national curriculum to Antiguan school children, with 150 weekly enjoying the programme. Head coach Sylvester Thomas and his team of instructors deliver the schools programme alongside a growing Sailability programme for differently abled children and adults as well as teach private lessons. during KPMG Y2K Race Day and the Daily Prize Giving, held at Antigua Yacht Club.